Skouter Jade’s New Year’s Resolution was to start cycling more, so she picked up a few extra spin classes at her gym, Equinox, which is how she was introduced to Cycle for Survival. Jade was intrigued to learn 50 percent of all people with cancer are battling a rare form of cancer, but clinical trials and research studies are often underfunded. When she discovered 100 percent of Cycle for Survival funds go directly toward rare-cancer research, she knew she had to contribute. “It was the perfect opportunity to both do good and get fit at the same time,” she says. There are several different ways to participate in Cycle for Survival. Jade chose to ride in the Cycle for Survival Challenge, which automatically tallied how many miles she biked in any cycling class for one month. For every 10 miles biked, Equinox would donate $1. “It was incredibly motivating and inspiring to be cycling alongside other people for a good cause, knowing that the more I pushed myself, the more I’d be helping in the fight against cancer,” she recalls. Jade biked 305 miles and contributed a total of $30.50. “Thousands of cyclists all across the country raised a record-breaking total of $30 million this year,” explains Jade with excitement. Clearly, this is a cause millions can get on board with, and there are several ways to participate, including donating directly to the cause. We commend Jade for her efforts to fight cancer! Do you lend a helping hand to a charity or nonprofit? We’d love to hear about your volunteering efforts! Send us an email to successstories@skout.com. If we choose your story to post on our blog, we will add 500 Points to your account! Ryan has been involved with several nonprofits, including Make-A-Wish and has participated in events such as the AIDS Walk and Light the Night. He’s been walking the Light the Night walk for a long time now, and the cause became even closer to him when he lost a good friend to lymphoma a few years back. He hopes that by walking for Light the Night, he can contribute to the Leukemia and Lymphoma Society’s goal of finding cures and ensuring access to treatment for all blood cancer patients. As a wish granter and events volunteer for Make-A-Wish, he is able to see, firsthand, his contributions come to fruition. “It brightens a sick child’s life by granting him or her a wish to travel somewhere, be someone for a day, meet someone or receive something special like a guitar. It makes me happy when I visit kids to decide on their wish and deliver the good news when it is approved,” says Ryan. Donate to help grant wishes for children suffering from diseases. Participate in an AIDS Walk near you or donate to their community. Walk for Light the Night or donate to support the Leukemia and Lymphoma Foundation’s efforts to cure blood cancer. Thank you for your efforts to help others, Ryan! 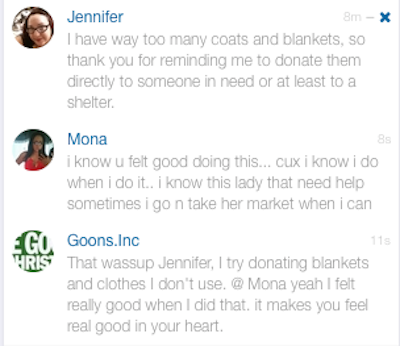 Whenever we hear stories of Skouters donating to their favorite charities and giving back to their communities, it makes us superproud to call them part of the SKOUT community -- so proud, in fact, that we share their story on our blog to inspire the rest of the SKOUT community to get involved with charities and nonprofits too! If you’d like to share the story of your volunteer efforts with us, shoot us an email at successstories@skout.com. Should we choose your story to be on our blog, we will add 500 Points to your account! Last night Skouter, Ryan, and two of his friends walked along San Francisco’s Embarcadero for the Light The Night Walk. Lighting up the night sky with glowing lanterns, Ryan was one of hundreds walking to support The Leukemia & Lymphoma Society. He raised a total of $367, which will go toward funding research to find cures for blood cancer. Thank you for helping support your community Ryan! Interested in how you can participate? Light The Night Walk may be coming to a city near you. Check out the schedule! If you’re unable to join the walk, there are other ways to participate. Do you have an inspiring story you’d like to share with us about how you have contributed to a good cause or helped your community? Shoot us an email at successstories@skout.com! You may recall late last year when a group of Skouters in Manila worked together to fundraise for one of their own. The daughter of Jenny (Skout ID: jennyfromtheblock) had been diagnosed with leukemia. The event at a local bar raised money for Jenny’s daughter Ynah’s cancer treatment in a variety of ways: a donation box, a photobooth, an auction for goods and dates with Skouters, as well as Skout trivia. The event raised about $2,000 USD. Because Manila Skouters decided one night of raising money for a good cause was not enough, they created #Skout4Change. The goal for #Skout4Change is: Once a quarter, a group of Skouters plans and executes an activity, during which they help someone in the community or tackle a social issue going on in Manila. Ideas included holding food and blood drives for typhoon victims and volunteering in orphanages. Sure enough, #Skout4Change continues to work within its Manila community. And Ynah continues to fight the cancer with which she was diagnosed two years ago, when she was just 8 years old. This summer, #Skout4Change organized another benefit for Ynah. 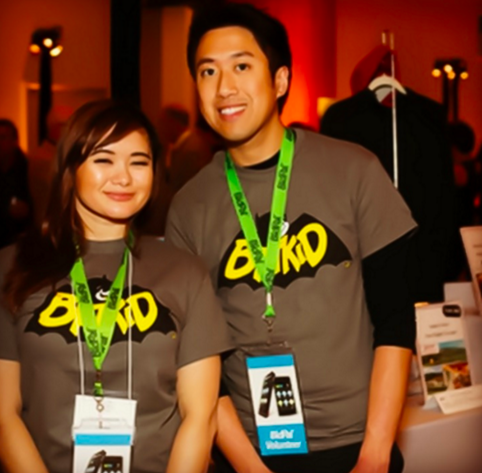 The event was organized within two weeks, with word of mouth spread on Skout Buzz. “Blame it on the Filipino attitude of kawang-gawa,” one Skouter told us. Kawang-gawa is the nature of the Filipinos to help others without asking anything in return – to give what they can. The goal of the latest benefit was not to raise money – though Skouters did give cash too. Instead, Skouters donated blood. They donated so much blood that they maxed out the facility, and already the community is organizing the next blood drive. 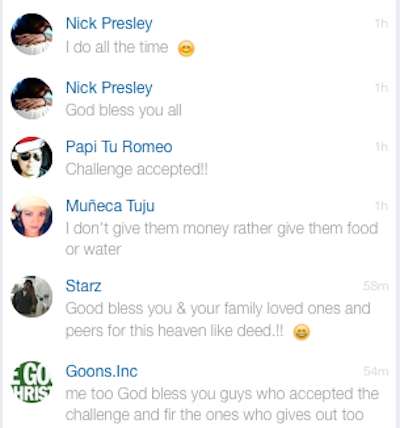 Thank you, #Skout4Change, for showing what the Skout community is capable of when it uses Buzz and chatting for great things! Skouters in Manila gather for a blood drive. To check out the Skout scene in Manila, use Skout Travel to chat with the locals and see what’s on Buzz. Have you met people on Skout? Send your Skout Success Story to successstories@skout.com, and if we share your tale on the Skout Blog, we’ll award you 500 Points! This is what we love about Skout: The good feelings and actions by other Skouters that bring out the best in all of us. Have you been inspired by a Skouter lately? Please tell us at successstories@skout.com. Don't forget to friend Goons.Inc -- you find him by his SkoutID: Goonies420. Fortunately for Ynah and her mother, the Philippines – where they live – has a very active Skout community. People come together to raise funds for a fellow Skouter in need. The Manila Skout community – which calls itself the Grand Eyeball, a colloquial term for a group of virtual friends – rallied together quickly to create the event GEB For a Cause (#GEB4CAUSE), held earlier this month, to raise money for Ynah’s cancer treatment. While the Grand Eyeball members mainly stay in touch on Skout and occasionally meet up in real life, GEB For a Cause was the first of its kind in Manila. 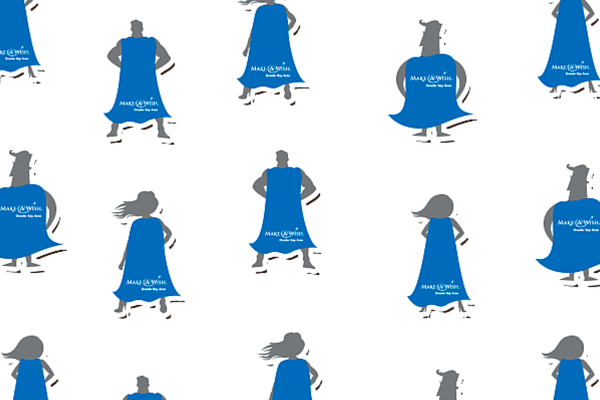 Geo publicized GEB For a Cause with banners he designed and posted in Buzz. “As you know, if you Buzz and comment enough, you start to gain some infamy, notoriety, fame and whatnot within the Skout Buzz community in your locality,” says Geo, who messaged those well-known Skouters and asked them to repost the publicity banners on their own Buzz. Geo emphasized that GEB For a Cause would be an event at which people could donate money to Ynah’s treatment as well as meet new people. “Within one day the idea caught fire, and anyone who is a Skouter and checks the Buzz had heard the idea and wanted to join and help baby Ynah,” Geo says. Skouters offered to donate items for an auction, and some people even volunteered to auction themselves for a date during GEB For a Cause. A lucky Skouter meets his date. “The movement took a life of its own, organic, homegrown, grassroots – all from our simple interactions in the Skout Buzz!” says Geo. Could YOU pass the Skout trivia quiz? Skouters raised money in droves and kept Walking Street open until 4 a.m. The event itself raised about $2,000 USD. And donations are still being accepted through this site: http://www.gofundme.com/mjfcworldwide. Skouters raised more than $2,000, and the donations keep coming! Because Manila Skouters decided one night of getting together in real life and raising money for a good cause was not enough, they created #SKOUT4CHANGE. Once a quarter, a group of Skouters will plan and execute an activity during which they help someone in the community or tackle a social issue going on in Manila. Ideas include holding food and blood drives for typhoon victims and volunteering in orphanages. These are the stories we here at Skout love hearing: Skouters who meet up from time to time online as well as get to know each other in real life, and then they decide to help each other out when needed. “I ran with the idea and just went for it,” Geo says. All photos by Norvyn Villanueva, a Skouter who volunteered his services for GEB For a Cause. Have you met someone on Skout who’s now a friend or soulmate? Do you regularly exchange book suggestions with a Skouter? Have you met a rock-climbing buddy through Skout? Share your Skout Success Story with us, and you could be featured on the blog! Tell your tale to successstories@skout.com.